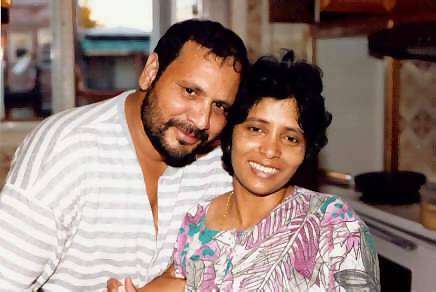 Kanggaima and husband (Telvinder) during happier days. Photo taken by Kash's dad when family went to visit them in Toronto, Canada. Kanggaima's first marriage in Malaysia was a nightmare of physical and mental abuse that lasted years, devoid of love or affection. To erase the pain and start a new life she fled to Canada. Her husband found her whereabouts and followed her to Montreal, renting a room at Park Extension just a few blocks away from her apartment (and that of Kash's parents). He tried to patch their marriage and asked for forgiveness, but she had had enough and ended the abusive and degrading relationship by seeking divorce. In the process she lost custody of her only son Vignes, who was manipulated by the ex-husband to falsely testify against her during the bitter custody proceedings. The pain that her own son could turn against her was as difficult to bear as the loss of a husband. The scars of this failed marriage made her wary of any future relationship with any man. After a few years she was approached by an acquaintance Telvinder, a tenant at her former apartment dwelling in Park Extension, Montreal. Kash's parents also knew him very well. He also was undergoing a bad marriage; his wife had several affairs in Punjab, India, the result of many years of his absence overseas. There was a mutual mix of human chemistry between both marital victims — sorrow, grief, sadness, betrayal, pain, anger — and hope. Kanggaima found something that she never had in her first relationship — tenderness, respect, love and affection, without any sexual involvement. But yet there was a hesitation to commit. After months of indecision Kanggaima finally consented and consummated the marriage in 1994 and put her heart and soul to make her new life prosperous. She also had her Self-realization from Kash's mother and meditated on a regular basis. She worked seven days a week, held two jobs, and paid a down payment for a house in Scarborough, Toronto. She even accepted the children of her new husband from his first marriage as her own. Her love towards her husband was pure and genuine, full of generosity and trust. Despite all her best efforts relations began to get strained; the stepchildren rejected her overtures for reconciliation and never could accept her. There were two insurmountable reasons: they held the bitterness that she was solely responsible for breaking the family. She was of a different race and color. Over time this deep resentment surfaced and pitted their biological fair Punjabi father against their dark-skinned Tamil stepmother, leaving all in helpless limbo. It was a strange love triangle that occasionally left everyone emotionally drained and frustrated. In December 1995, the husband began to make plans to go to India and get his sister and son married. Kanggaima was enthusiastic to see these marriages flourish for she genuinely regarded all the family members as her own. She kept on working long hours, averaging about 70 a week in order to raise the necessary cash, as her husband was undergoing a vocational course and could not contribute to the household. All necessary marriage expenditure — gold, cash and clothes — was borne by her. She went out of her way to make sure that the marriages would be successful financially and appreciated by all Punjab relatives. Although she still had some minor misunderstandings with her husband over the antagonistic attitudes of his children, all was going normally. Or so she thought. In February 1996, out of the blues her husband suddenly rang her workplace and told that he was leaving for India, and put the phone down. Thinking that he was upset she did not take it seriously. When he did not come home for the night she began to get worried. When she checked the house she found that all the gold and clothes were already taken. This was unlike her husband, who would never do such a thing without informing her. within days she found out that not only her spouse actually leave for India, but he had also cleared all her bank savings. This was indeed strange for she had already withdrawn about C$9,000 in cash earlier and given to him. Despite this telltale trail she never suspected anything would go wrong, as her trust in her husband Talvinder was beyond suspicion. Moreover, she was a few weeks pregnant. Surely he would come back from India after the marriages and explain everything. Soon suspicious signs began to surface — children leaving home and staying on their own with relatives, credits card bills unsettled, no calls from husband, and his children informed by phone from India that he would take custody of his yet to be born child. These were serious marriage cracks. Kanggaima was beginning to get despondent and mentally depressed. Around this time Mandy, her friend from Montreal, came to stay with her for a week. Kanggaima had called her as she wanted someone to help her tide over these stressful times. A very strange thing happened the next day. Mandy, a Muslim and a non-Sahaja Yogi, heard a voice telling to bring some milk for the Great Divine Mother and Her Son, Shri Ganesha. Mandy did as she was told and put it before the altar where there was a photograph of Shri Mataji Nirmala Devi. After having done so Shri Mataji showed her a vision of Kanggaima being led away from her husband. The Great Divine Mother briefly told Mandy that Kanggaima's marriage was over. Mandy immediately told Kanggaima but the later refused to believe it, thinking that it was just a figment of her imagination. In fact she was angry that her close friend would tell her such tales, and making matters worse. Not only matters became worse but also Mandy's vision became a Reality. within weeks it was confirmed that her 45-year-old husband had married a 19-year-old girl. The husband was even seen in Punjab with his new bride and introduced to a Canadian resident, who later came back to Toronto and informed Kanggaima. Kanggaima was utterly devastated and heart-broken. Nothing could console her as she spent hours weeping and thrashing in overwhelmingly grieve, agony and sorrow. All her hopes and dreams were shattered in an instant. The most unbearable pain was caused by the complete betrayal of a man whom she had genuinely loved from the bottom of her heart, who had also shown love and affection, and had repeatedly assured that she was going to be the only women in his life. How could he dump her so suddenly and heartlessly? What had she actually done wrong to deserve such punishment? She began weeping for hours and went on days without eating. She could not sleep at night for the thoughts of her husband's treachery kept devastating her mind. She could not accept this emotionally crippling disaster, hoping against hope that he would realize his mistake and come back to her. All these thoughts spewed forth more apprehension and delusion. Hope turned to fear and back to hope and again to fear. It was a runaway emotional roller-coaster ride spiraling out of control. Life became an endless hell. In the end she turned to Shri Mataji for help, although her faith in Her was still not established. In her distress she felt that the Great Adi Shakti was responsible for taking her husband away, based on the flimsy excuse that Shri Mataji had shown that vision to Mandy. Soon she felt that Shri Mataji was also responsible for breaking up the first marriage. Kanggaima had already weeks earlier decided to devote more time to the Great Adi Shakti. So why was she made to suffer? Kanggaima kept crying and questioning Shri Mataji repeatedly why she had to undergo such punishments. Why did Shri Mataji not only destroy her first marriage but also her second? What sins did she commit in her previous life that left her devoid of Her redeeming Grace? Though Kash's parents explained to her, among many other things in detail, that Shri Mataji cannot force Telvinder to remain married to her against his will Kanggaima refused to accept it. Moreover her spouse was not even a Sahaja Yogi. Then she stopped meditating. She began to directly ask the Great Adi Shakti to end her life. Again and again she prayed and demanded that her desires should be fulfilled, as she had no desire to live any more. When nothing happened she began to make plans to end her life. Kanggaima had already obtained a two-week vacation leave from her employer. There was ample time to plan her exit from Earth. She drew up a will with a lawyer, allotting portions of her property to the children of both ex-husbands and her welfare-dependent friend Mandy. She also had an insurance policy that accepted suicide. It fitted her death plans perfectly. Not only would the children be taken care of but also her ex-husband would be brought down to earth with abject remorse as the sole cause of this tragedy. There is no fury as that of a chaste woman betrayed. Kanggaima decided to go to Montreal and see Mandy as well as her friend Shindi, The Mother of Kash, for one last time. Just before leaving Toronto she distributed her remaining jewelry to the children and wrote a farewell letter to her ex-husband, who had just returned to Punjab from his honeymoon in Simla, a popular hill-station in India. In the letter she explained to him that he should not have betrayed her after showing her so much of love and tenderness. She also hoped that her death would destroy all the evil in him and lead him towards a spiritual life to atone for his unforgivable sin that led to her suicide. She reached Montreal and stayed at Mandy's place. She wept uncontrollably and repeatedly poured her heart out to her. In the end she told Mandy of her irrevocable intention to commit suicide and nothing would stop her. The emotional pain and mental stress was just too unbearable, with all desire to live gone. She reminded Mandy that if she prevented her from committing suicide, she would return to Toronto to complete the job. Kanggaima had already not eaten for several days but starving to death was just too slow. She wanted a foolproof quick end to this abject misery. Mandy reluctantly told her that there would be no objections from her, for she understood how Kanggaima felt. Mandy herself had undergone two divorces with similar circumstances — both husbands left abruptly to remarry, leaving her stranded with their children. It was a universal suffering shouldered by an increasing number of women. Mandy was well aware of Kanggaima's pains arising from a strict husband-wife-family orientated culture. Her suicide bid could not be thwarted. Mandy had a sister Marlene who was staying above their apartment. When she came down for a visit Kanggaima just casually asked her how people normally committed suicide in Canada. While explaining Marlene suddenly asked her if she was planning anything. Kanggaima denied and laughed it off. Hours later Marlene came back again and told her sister that she was smelling death around the house. She could not elaborate her intuition but it pointed to death. Both Kanggaima and Mandy were shocked but played it down. Marlene left without asking any more questions. It just happened that two acquaintances walked into the house to use the phone (514-2749265). After they left Mandy explained that these girls were hard-core drug addicts just like their mothers. Frequently the daughters injected each other with drugs. Mandy explained they were so dependent on their daily doses that they would do anything for money. Kanggaima's face lit up with beautiful visions of approaching death. Although her insurance policy allowed suicide Kanggaima did not want her friends and family to think that she took her own life. It would be too shameful. She was particularly concerned that her aging mother in Malaysia might not be able to take the news. She would pine her remaining years in sorrow, thinking that her daughter had to end her life because of another failed marriage. Her death had to appear accidental. On April 14, 1996, Kanggaima rented a car from Tilden. She had already met the two drug addicts April (17 years) and Candice (21 years), and bargained the cost of dying. Death charges by drug overdose would be C$50 (excluding cost of drug) but a car accident would cost much more. This substantial difference in performing the same service was based on the principles of prevailing drug-culture morality. They felt no guilt at all if Kanggaima be injected with a lethal dose, and actually felt exonerated and elated that she would die 'happily.' (After all, a number of their friends were painlessly eased of their misery this way, whether by intention or accident.) A car crash would be gory, with splattered blood, jagged broken bones and torn flesh everywhere. They would be feeling guilty of conscientiously causing a painful death, but C$400 would be sufficient to console their temporary trauma. Kanggaima was delighted with these liquidation prices — just C$50 for a drug overdose! Where in the world was life so cheap and expendable? She had expected death to be on par with the high Canadian standard of living, with tailor-made services running into hundreds of dollars. She just could not believe her good fortune — just C$50 for a drug overdose! She could now leave more money for Mandy to use. The time of death was arranged. April then assured her that death would be a pleasant, painless, permanent sleep; there was noting for her to worry or fear. Moreover it came with a guarantee — April was a professional and had years of experience injecting herself, her mother and other addicts. Kanggaima burst into joy that death would come soon and end all agonies. After months of anguish she was happy and relaxed again. At 1:35 p.m. Kanggaima met April whom she named Vampire No. 2. They went into a pub and April told from whom the drug be purchased. Kanggaima did not want her to do the deal, fearing that April might substitute it or somehow cheat, as some hard-core drug users do. April had already told her that C$20 would be more than enough to kill a first-time user like her. Kanggaima purchased C$40 to be absolutely sure and put it in her bag. They then returned to April's apartment and prepared the death potion. Kanggaima made sure that the drug preparation never left her sight. April mixed it with some tap water and filled the syringe. Kanggaima then took the syringe and again kept it with her. She did not want to take any chances and be swindled of her anticipated appointment with Death. They then drove to the corner of Cote-des-Neiges and Jean-Talon, and found a secluded spot beside a commercial garage. April again explained that within seconds Kanggaima would be dead as the drug "Will go straight to the heart." A shoelace was tied very tightly just below Kanggaima's right bicep. Soon the constricted vein bulged into view. April then snapped her middle finger on the visible vein to make it swell more. Slowly she injected the needle into the engorged steel-blue vein and drew the blood back. As the blood of life blended with the drug of death April pressed the syringe slowly till it was empty. They waited for a few seconds. April was trying to see the joy of death ending the agony of life of this strange stranger. Nothing happened. Kanggaima looked at April and asked her why she was just normal, as if nothing had happened. April could give no answer. It was just not possible for any human being, especially one who never taken drugs before, to have survived this massive dose of poison. It was just not possible. Kanggaima was sure that she had been precisely injected, having worked as a nurse in Assunta Hospital in Petaling Jaya, Malaysia. She knew that everything had been done correctly but by some miracle she was still alive. April then told her that they could get more cocaine and finish the job. The thought of her friend Shindi (Lalita Kaur's mother) came into Kanggaima's mind. She had yet to visit her in Montreal. It would not be fair for her to die without seeing her, a close friend who for years had stayed with her through thick and thin. Moreover Kanggaima had promised to see her. She told April that it would not be necessary at the moment. According to arrangements Kanggaima was supposed to be left dying and April to return the rented Tilden car. Since Kanggaima was still alive she decided to drive Mandy back to her apartment. April was in sheer panic as she sat in the car. Every few minutes she asked Kanggaima if she was all right, still expecting the drug to suddenly take effect and kill her instantly. The car might then be involved in a serious accident and she herself might be killed. It was probably one of the scariest ride in her life for the drug had to work somehow, even after considerable delay. This strange woman would have to die sooner or later — definitely no human could take such a massive overdose and tell nothing was happening. April had never experienced such an incident in all her drug life nor heard anyone telling a similar story. Nobody could inject such a lethal dose and live to tell the tale. It made no sense. But a miracle had taken place. Kanggaima just could not kill herself even under the best of intentions. How was this death-defying miracle possible? The next day April 15, 1996, Kanggaima came to see Kash's mother in Lachine. After explaining all that had transpired in the last few months, amid torrents of tears, she again made it known of her desire to commit suicide. Not knowing what had actually happened a day earlier (the death by lethal injection suicide attempt), Shindi and her husband played it down. She then showed her right hand where she had been injected, as the needle puncture mark was still visible. The seriousness of the situation became starkly apparent, and was unlike that in Malaysia where Shindi was at her side when Kanggaima was undergoing her first divorce. Kanggaima's husband Thiran came and rented a room in Shindi's house when he wanted to leave her. Together with the neighbor Ann, Kanggaima was slowly nursed by them back to sanity. There was never any mention or desire for suicide during those difficult months. However, this time Kanggaima was in a much more desperate situation. In Malaysia she was running away from a abusive relationship. Here a loving and affectionate husband had deserted her. No matter how much Kanggaima was advised it made no difference. Hours of consolation and patient listening passed as Kanggaima poured out all her pain. Heart-wrenching tears flowed continuously and emotional wounds were repeatedly opened. It was thought that with all this outpouring of grief she might lighten her burden. It did not — the death wish was constantly on her mind. She repeated implored Shri Mataji to end her life. In fact she slept through the night before Her altar, after having desired that her life be taken away in sleep. The next day was again spent talking, listening and consoling. The futility of suicide was constantly stressed and repeated offers made to her to stay back in Lachine and recuperate. In the evening she half-heartedly agreed but still kept on talking about the futility of living. On April 17, 1996, at about 10:35 a.m. she left for Mandy's place again. She informed Kash's father that from there she would take the bus back to Toronto. Little did anyone suspect what she really had in mind. The same day she contacted April and Candice again. She told them that she wanted to be now killed in a car crash and the price of $400 was agreed, of which $100 was to be paid up front. The plan was to find a dark secluded spot where Kanggaima was to be hit while standing on the road. They were then to reverse the car and run her over again. Only after confirming that she was dead, or fatally injured, were they to drive off without touching her, and collect the balance money hidden in Mandy's apartment. Kanggaima then rented another car and everyone met at about 9:00 in the evening. They then began driving around a wide radius, with Vampire No. 1 (Candice) at the wheel, searching for the ideal location. They found a place about half a mile from Jean-Talon in the Park Extension area but there was a surveillance camera. Then they found another spot near the Tristar factory but vehicles approaching every few minutes disturbed. It was not suitable as they needed a few minutes completely on their own to plan and position themselves. Around the Cote-des-Neiges area there was a dark and isolated spot but Candice felt that there were too many people around. They found another spot nearby and agreed that it met their requirements. They then circled around to survey the area, and returned to the same spot — there was now a police cruiser there. This location was also abandoned. By about 3:00 in the morning they came to the Rockland area. Candice remembered a place she was familiar with — April's former school area. They found a spot opposite the Rockland centre near a fruit store. There was a dark spot and the length of the road was sufficiently long and obstruction-free for high-speed acceleration. Moreover the area was deserted. Vampire No. 1 was all ready and raring for the thrill of a kill. But Kanggaima declined as it was already too late in the morning. Indian women are not found loitering around late at night. So what was she doing outside at 3.00 in the morning? She did not want any family member to think that she was roaming around alone into the wee hours like a woman of loose character, raped and run over, or something to that effect. That nocturnal hour death would start tongues wagging and subject her family members to unnecessary shame and humility. She told Candice that they would have to come again in the late evening and complete their transaction. As consolation and good faith Kanggaima paid the 'vampires' $100 for their time and effort. The next day at about 8:00 p.m. they met again. They had found another new spot along rue L'cadie, around a cluster of small factories. They checked and found that everything was perfect — dimly lit, quiet, no resident homes, free of cars and pedestrians, and sufficient length of straight road for acceleration. They did a few trial runs to make sure there would be no hitches. It was a good place to die successfully. The plan was the same as before; Kanggaima to be hit at a speed of about 60-70 kph, run over again, checked to verify death, and left alone. Kanggaima then stood in the middle of the road. April did not sit in the car but watched from a short distance. Candice started the Ford and reversed all the way till there was sufficient death distance. The car headlights were switched off. Kanggaima watched the car being revved up and it sent a small surge of fright down her spine. Then she saw the car speeding towards her from a distance, as the rush of adrenaline sent Vampire No. 1 hurtling down death drive. Kanggaima then began to panic as the car was coming at a higher speed than agreed. It was averaging about 90 kph and the sound of speed sent more shivers down her spine again. Why was Vampire driving so fast? Kanggaima did not wait for a answer. She looked up at the sky and closed her eyes, and begged Shri Adhiparasakthi Shri Nirmala Devi to end her life. All fear left her. The car hit her with such a impact that she flew into the air, flipping wildly, and hit the road with a thud, and crumpling into a grotesque heap. Candice indeed had driven too fast and had to apply emergency brakes to prevent the car from crashing into the factory compound at the end of the road. She screeched to a halt as the smell of burnt rubber wafted from the asphalt. Vampire no. 1 had a natural high as she put the car into reverse. She gathered speed and again drove over the limp body. As they turned the corner and slowly approached the accident site, they met a blood-curdling scene. There was Kanggaima somehow miraculously sitting up like a zombie from a horror movie, babbling away nonsense. They could not believe their eyes — there was no way she could have survived that impact and subsequent run-over. How could she have survived being struck at such a speed and her 'lifeless' body driven over to ensure sure death? After all, the verbal contract was to ensure death and both parties performed their duties as agreed! 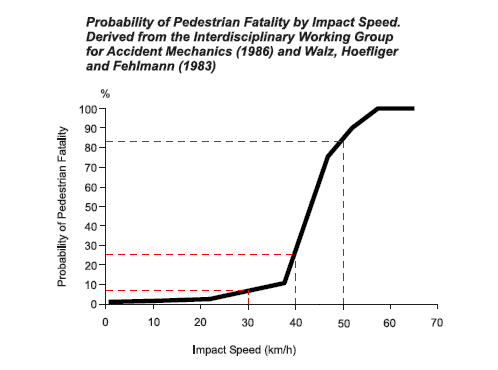 If a 90 kph crash did so little damage what speed would be required - 120 kph? 150 kph? 180 kph perhaps? For April it was witnessing a double miracle. Kanggaima had defied death by lethal injection, which she had personally administered. In fact Kanggaima had not even the least affected by the huge overdose of drugs, something April was never able to comprehend. There was no way Kanggaima could have survived that lethal syringe. But survive she, even driving the car back home! And now this! April had watched the car hit her with such a body-breaking force that the sound of impact itself was sufficient proof of fatality. Kanggaima was seen flying violently into the air and hitting the road with a thump. And then she was run over again. Yet she was still alive and sitting up, and muttering away! This was not possible! It was not actually happening! It must be a drug dream, a hallucination or whatever but not reality! But it was. They got out of the car and carried Kanggaima quickly into the back seat. They were too shocked out of their senses to hit her again. There was a fear in their evil minds that frightened them — this was not a normal being! There was something in her that was defying death and that terrified them. The impact would have instantly crushed out all life and ruptured vital organs and blood vessels. The wild fall from about 10 feet would have broken some bones. The run over would have mangled her heaped body into a mess of scrapped skin, shredded fat, blood and bones. But nothing had happened to her! They drove back to Mandy's apartment and informed her. An ambulance was summoned. Kanggaima kept incessantly mumbling about Talvinder. In the end Mandy had to slap Kanggaima to shut her up, though with regret and shame, but the seriousness of the botched suicide was extremely stressful. (She had already calmed her frayed nerves by taking Valium before leaving for the hospital). Kanggaima was supposed to be dead and now she (Mandy) was in trouble, a partner in crime. She had already lied to the ambulance and police that Kanggaima was a hit and run victim., and did not want the mutterings of Kanggaima to arouse suspicion. The ambulance came at 22:55 hrs. and took her to Montreal General Hospital located at 1650, Avenue Cedar on April 18, 1996 (Unit # 1103479), arriving there at 23:15 hrs. Scans were taken and Kanggaima examined. Except for a few minor bruises the doctor found nothing wrong with her. She was discharged immediately and Mandy took her home. Marlene then began telling what the Holy Spirit had told her. Although she did not know anything about Shri Mataji previously, the Great Divine Mother came and revealed to her what had happened. Marlene had always prayed to the Great Holy Spirit all her life and turned to Her for help. For the first time Mamaji appeared to her. "Mama" meant "mother" for Marlene and instead of calling Her "Mataji", she preferred to call Her "Mamaji" or Holy Spirit. Marlene then described to Kanggaima how Mamaji looked like — about Kanggaima height but bigger in size. Marlene was perfectly describing the physical attributes of the Great Adi Shakti Shri Mataji Nirmala Devi without having absolutely no prior knowledge! She swore that Shri Mataji had told her everything that had happened. Kanggaima and Mandy could hardly believe their ears. Mandy was telling the Truth! Marlene began narrating everything that had happened in unbelievable detail. Kanggaima was first told that she had tried to kill herself by injecting a drug overdose, helped by someone known as Candice. Kanggaima denied it was true. (Marlene first told that it was Candice but came back next day and said that she remembered now that Mamaji [Holy Spirit] had told her it was April who injected.) Then Marlene described that somehow the drug did not work. Kanggaima kept on shaking her head, denying everything. Then Marlene told her the exact spot the injection was administered — along rue Jean-Talon, between Decarie and Cote-des-Neiges. Kanggaima's brains reeled in disbelieve at this precise prediction. There was no way for Marlene — with whom she had hardly any contact — to know her plans and every event exactly as it took place? How was it possible for Shri Mataji to tell Marlene, a non-Sahaja Yogi, all this detailed information? Again Kanggaima denied that it was true. Marlene told her that it was Mamaji (Holy Spirit) who sucked the lethal drug out of her veins, and that was the only reason that she survived. This revelation hit Kanggaima like a ton of bricks. What was actually going on? Kanggaima again denied it was true, fearing that Mandy would be suspected as an accomplice. Mandy herself was petrified that her sister knew everything. She lingered on in the kitchen, afraid to face Marlene, praying hard and hoping that Mamaji did not mention her name to Marlene. Her sister would never forgive her for being an accomplice to such a terrible crime by allowing a close friend to take her own life. Marlene then began shouting at Kanggaima, accusing her that she was lying through her teeth — Mamaji had told her all that had happened while she was praying to the Holy Spirit. There was no way it was false. Kanggaima still refused to admit that it was all true, fearing the repercussions of any acknowledgment. Then Marlene began talking how the accident had been arranged, where was the spot, who drove the car, and how much money was agreed upon. Marlene even added that April and Candice had freaked out and could not do it again as Kanggaima, despite being hit at such a high speed and run over again for good measure, was still alive and sitting on the deserted road. Kanggaima then had to admit that it was all true. It was impossible to deny the Truth of the Divine Mother (Holy Spirit). Then Marlene told her that the only reason Kanggaima did not die in the car crash was because Mamaji (in Her Spirit form) lifted her the exact split-second before the car 'hit' her. The car actually never hit her at all and that was why she never had a single broken bone or bruise even after such a high speed 'impact' and then run over again! In all appearance it was seen by April as if Kanggaima was flying into the air after the deadly impact, but it was the Great Primordial Mother that was making it appear so. That was the only reason she remained practically unscathed, and still alive. Note: All hospital records were extracted by Kanggaima and sent to Montreal. whether suicide ensues or not, is guilty of an indictable offence and liable to imprisonment for a term not exceeding fourteen years.